Christ has offered forgiveness for everything troubling you. He has been given the power to forgive all. Hebrews 5:7 says Jesus offered up prayers and petitions with fervent cries and tears. One of the men in our group talked about this and it helped reveal how amazing this is. Think about it. This is the creator of everything. Everything. Heavens and earth, seen and unseen, mortal and spiritual beings, matter, dark matter, antimatter, everything. This is the all powerful. All knowing. Eternal God. And he cried. Growing up my fear of my father was not one of fear of punishment or anger from him, but fear of causing him disappointment or pain. If as a child I understand this for my human father, then as a maturing adult believer how much more should I feel this for my Lord. And, yet, he cried. I don’t say this as a depressing thought or for guilt, but I think it shows the heart of God and His amazing love for me and all of His children. That love, embodied in Christ, serving in the role of eternal priest for me, interceding on my behalf and paying the sacrifice for my wrongs, well… that is love. Choices on employment, choices on how to spend money and time, choices about whether to launch new ventures and how quickly to do them. Consequences affect myself, employees, family, readers, other believers. I also need to be talking with others about Christ. I need to pray about all of this. We know from the previous verses that the people of this valley were wicked. In these verses we also see how inept the battle plans of the wicked are. Here we see a big front. 5 kings allied against 4. They draw up to fight on their home turf, in their own valley with naturally better ability to prepare to devise strategy, to prepare reinforcements. What we see is that instead all they have is a big front. There is nothing behind it. At the first sign, they retreat. Some are caught in the tar pits of their own turf, some flee to the hills. The leaders themselves flee leaving the women, children, elderly and innocent to be taken by the enemy as slaves including ALL the food. As Christians we fear confrontations with evil. Evil today acts the same way, with a big scary front. But like this battle, there is nothing behind it. The soldiers are deserted, the leaders flee and they are caught up in their own lies and deceit. I am not suggesting that we should discount the forces of evil, clearly they have the ability to cause harm and pain, but I am suggesting that under the power of the spirit of God, with the truth of the gospel, we need have no fear. in the fertile crescent between the Tigres and Euphretes. break the 10 commandments, and do not Love the lord your God with… They love themselves, love money, boastful, proud, abusive, disobedient, ungrateful, unholy…Having a form of godliness but denying its power. The people at this time decided to settle. They found a nice place, a lush valley, and they settled. It was time to enjoy their kingdom. It was time to build the things they wanted to build to make a name for themselves. It was time to work on their legacy, as the saying goes. But God didn’t call them (or us for that matter) to settle. He called us to take His word to the ends of the earth. He called us to do His will. While we have breath left in our body, there is work to be done. It is not that God is against rest – He created it. But rest is not a destination. Rest is part of the rhythm of life. God has so much more for us – why would we every want to settle for less? There is no place in a daily walk for gossip. I need to do more to help, in love, to cover the sins of my brother (and help him not repeat them) and less in discussing them with others. It doesn’t require a discussion or plan, just love and action. Shem be aligned with the blessing and praise of the Lord, God. David is a descendant of Shem and thus Jesus. God extends Japheth’s territory live in tents of Shem, Canaan slaves to Japheth. 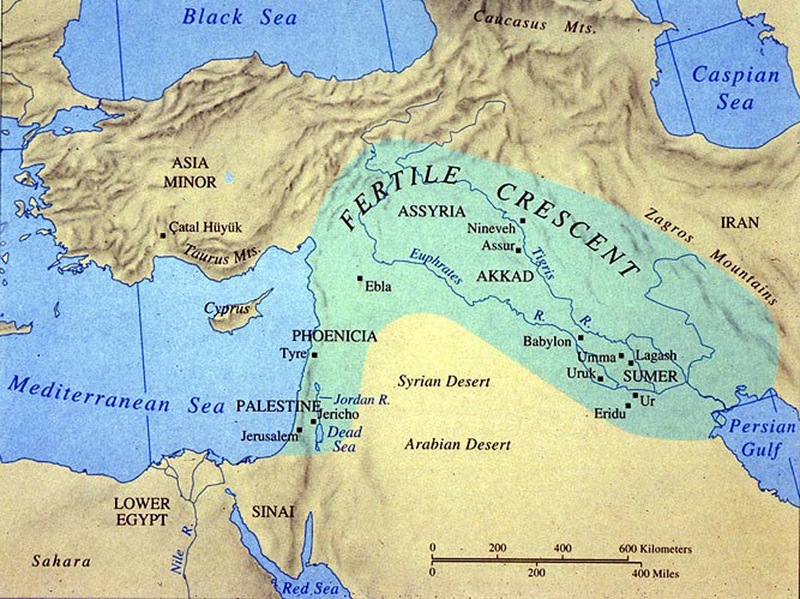 Canaanites were the inhabitants of the promised land. My first thought on this passage was, “aren’t we going a bit overboard here (no pun intended), Noah?” I mean, I get it that he was hung over from the beaujolais nouveau, but aren’t we over-reacting a bit? I know others have thought the same thing because there is this whole under-current of rationalization that there must have been more that went on in the tent to prompt such a curse. Of course, none of that is supported in the scriptures. But the more I thought about it the more clear it became. It is our every day, seemingly insignificant activities that reveal the true nature of our heart. When I have heard accounts of people who have performed heroic acts, time and again the reaction is not one of surprise because this is the way they conducted themselves every day. In that light, Noah’s predictions/oracle about the future of his descendents isn’t based simply on this one night or one action. This is just an example of the behavior that reveals their heart. The patterns of their actions. Almost all of us bow our head when someone says, “let’s pray.” But how often are we focusing on spending our day in conversation with God? How do we bring in the model of the good samaritan of conducting our daily life in a matter that shows love to our neighbor. There are implications that go far farther than to the impact today. They cascade down to our children and their children. But we also have the opportunity to change. While the sins of the father cascade, each generation has the opportunity and choice (free will) to walk with God every day and change the pattern for themselves and their descendents.